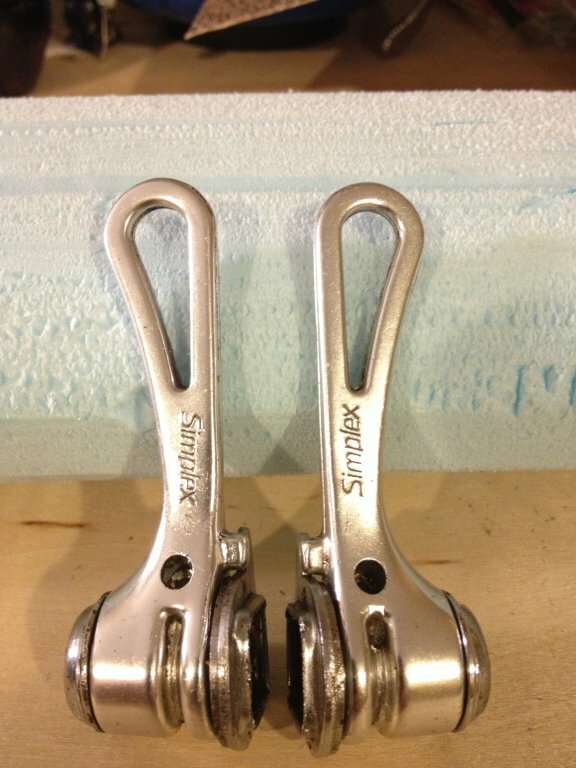 In the 70's and 80's, one of the most popular off-sponsor upgrade seen in the pro peloton was the Simplex retrofriction lever. Where the Nuovo Record might slip from the frame wrenching inflicted by a pro rider, the Simplex Retrofriction would hold its gear while allowing effortless shifting. 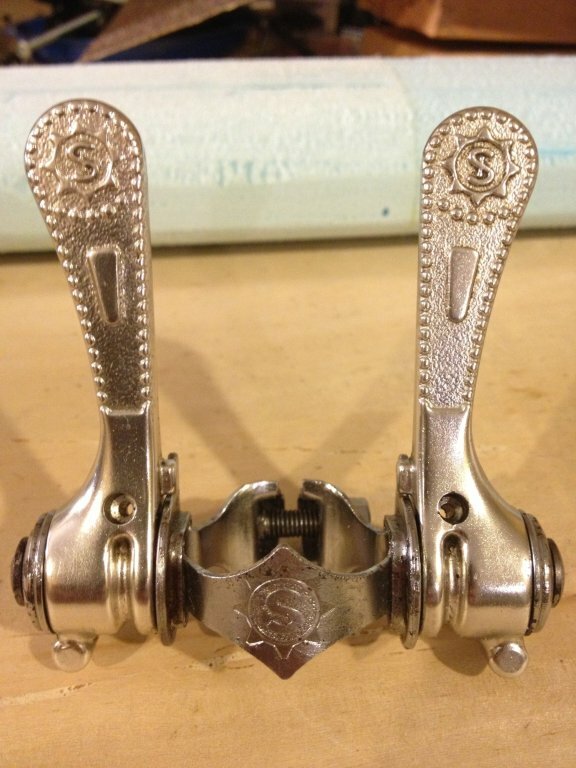 Where traditional shifters relied solely on friction to hold the derailleur in place, Simplex utilized a novel spring clutch mechanism - pull back and the friction plate is disengaged, while the spring holds it in place when pushed forward, giving a balanced feel in spite of the pull the rear derailleur spring. There were a few versions of the Simplex. Introduced in 1973, the mechanism lived for a very, very long time under a different of guises and vendors. It'd be easy to label the first of the Simplex levers to be the above left, with the weird growth on their bottoms, and the example on the above right, with an internalized spring to be the more recent. Unfortunately, this may be incorrect, as the right example is detailed in their 1974 catalog, followed for the next 7 years by goitered example. In 1981, the clean hidden spring version returns. If you're looking to outfit a bike of the period, I suppose, technically, you'd be safe with either example. They were also availbale in gold and black anodized aluminum, as well as a delrin version. By the 1981 catalog, the lever shape changed to the "tear drop cutout" shape. I believe this version was introduced in 1978 or 1979. A few different brandings of this lever are found. 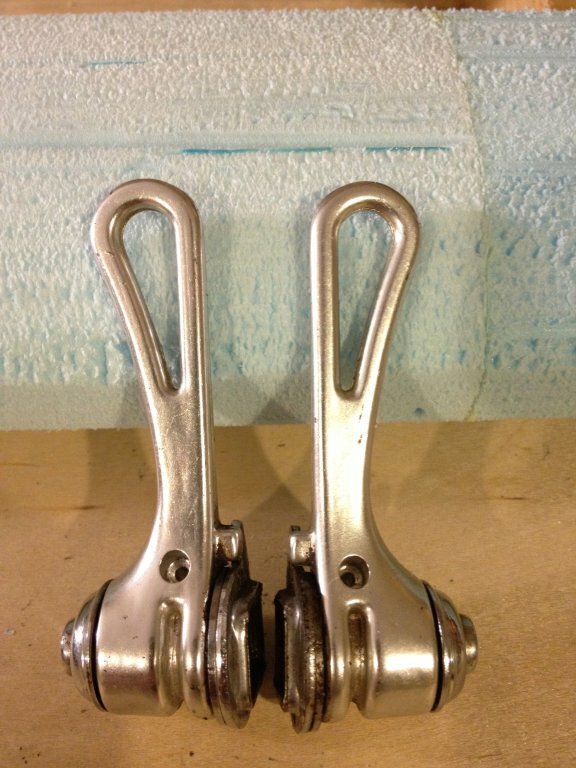 The unmarked version was sold both as Simplex and Mavic. 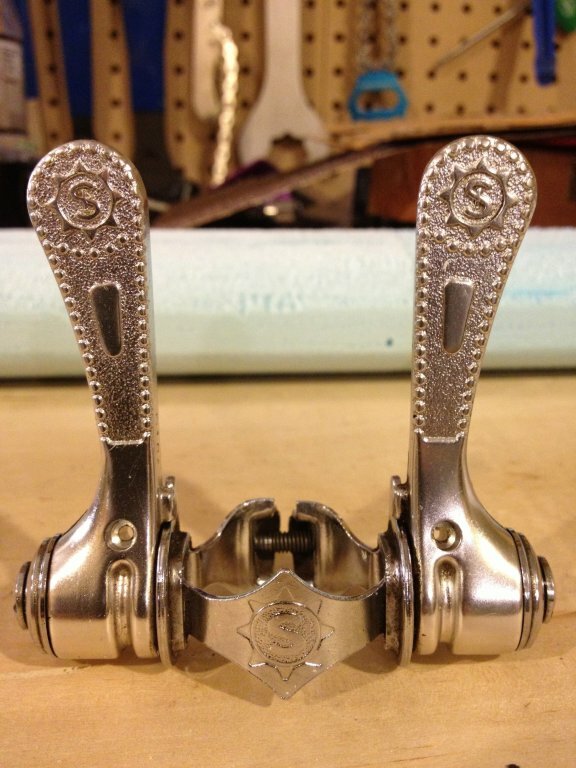 In the late 70's, Simplex was a member of the Spidel "collective", and labeled it's levers as such. While this is the last lever people often associate with Simplex, there were a few versions that came after. 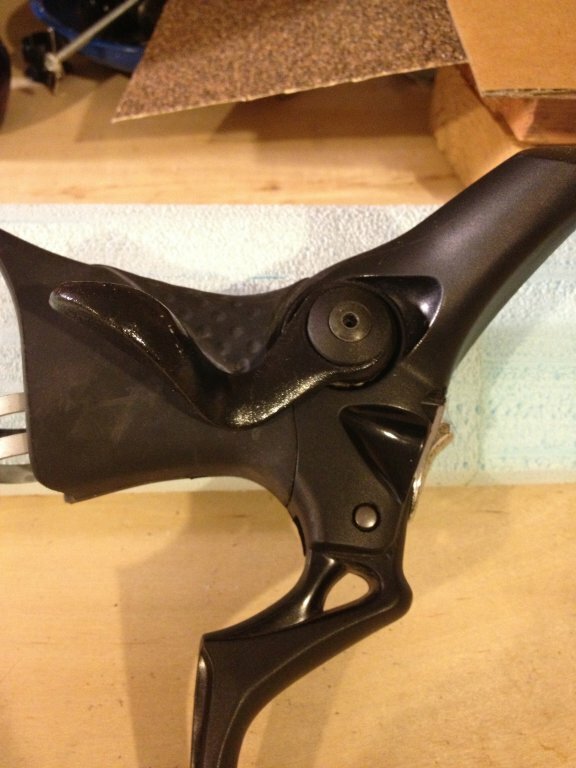 The front shift lever supplied with the Mavic Zap group was produced by Simplex. Simplex also sold a pair of these in the early 90's. 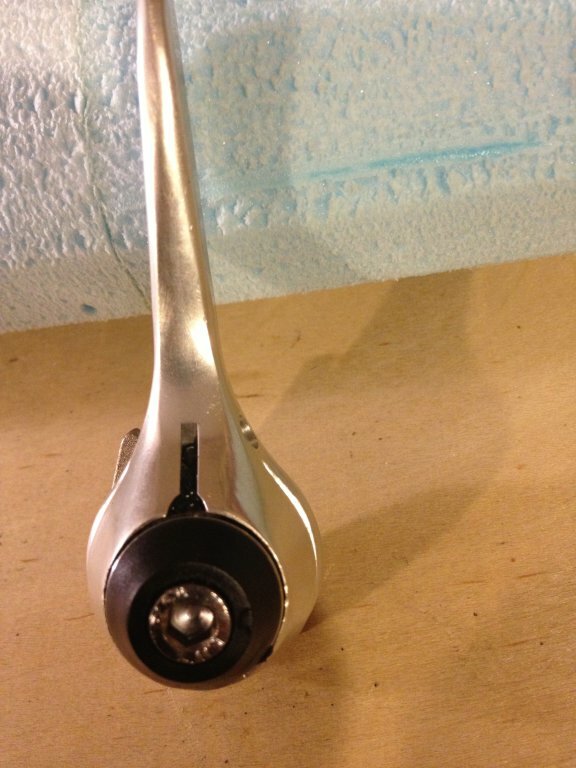 The Mavic Mektronic front lever might just give a view in to what might have happened had Mavic been first to introduce integrated shifters, instead of Shimano. Retrofriction lever sort of grafted on to the side of the lever body. Every time I'm in a less than optimal gear on a Shimano equipped bike, I wish I could have the infinite trim afforded by this sort of setup. There were more variants! 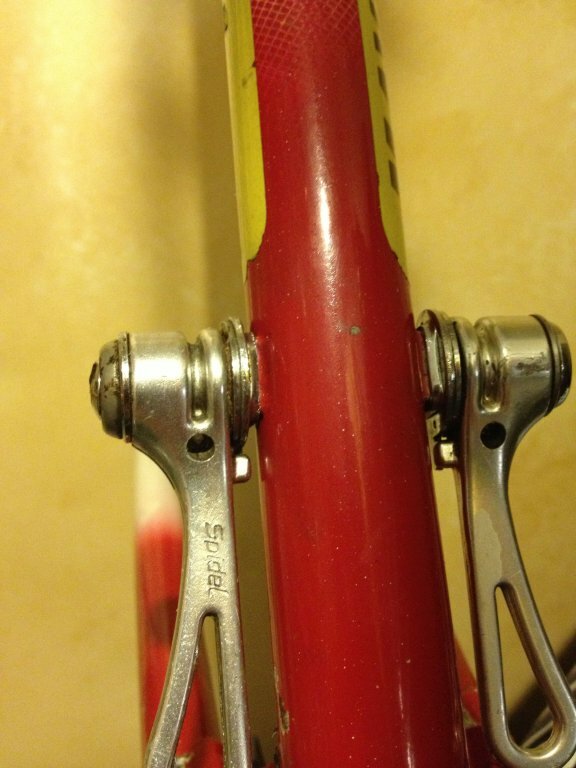 Gipiemme sold a version of the Simplex retrofriction lever, and I'm sure others did as well. Have any cool examples to share? Drop me an email with a picture! velo-pages.com is a phenomenal resource. If you ever find yourself looking for a catalog, check it out - chances are good you'll find something there. It's also a great place to get lost in exploration!